If you ask around, what’s the eighth wonder of the world? you’ll get all kinds of answers. I think only investors/financial advisers will refer to Compounding 🙂 …that too very few of them. Even though I have been in investment business since last 15 years, I never understood or cared about the importance of it. Only since last few years, I’m beginning to understand how powerful the concept is. Yes, Einstein called “Compound Interest” the Eighth Wonder of the World, he added further “He who understands it, earns it..he who doesn’t..pays it.” The Snowball Effect means the same thing and makes it easier to understand, here is a post that explains it beautifully in simple language..not recommending the stocks mentioned here but idea is to get familiar with the concept. 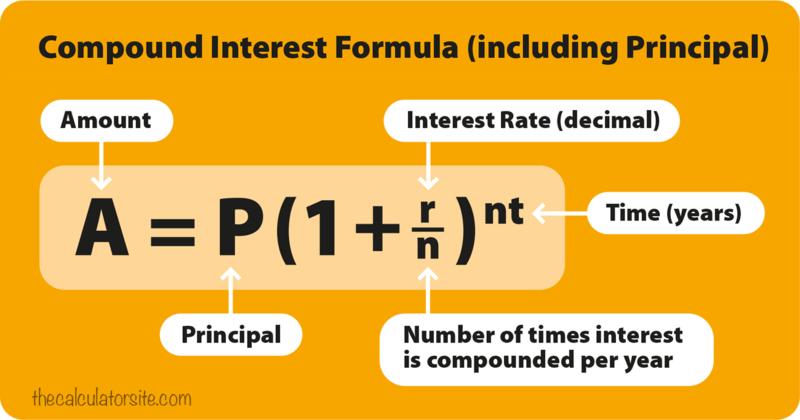 Above is the compound interest formula, of course the rate of return matters but the “time” is even more powerful factor in real life examples. Mohnish Pabrai is one of my favorite teachers and he has this excellent video on Compounding with familiar/peppy music 🙂 . It moves fast (at least for me) but take your time, watch it repeatedly as other related concepts are also mentioned in this. As you can see, the compounding works wonders if started at young age (longer time we have). But the irony is that most of us are least bothered or we’re interested in quick riches when younger. Only in later years, we realize (if at all) that “Get Rich Quick” schemes/ideas don’t work in Investing and show our willingness to give longer time frames for building wealth. This post is not only about money/finance, compounding is equally effective in other areas of life as well..whatever your interest/passions may be..e.g. for building knowledge/relationships. I didn’t know anything about finance when I was young but I was curious, loved reading, liked learning about other cultures/countries and took tremendous risk while going to Australia for college at age of 17.. when hardly anybody went there for undergrad. There was so much to learn and I did..experimenting with new things, taking calculated risks. And I kept building upon it, in the Corporate World and in Investing. I’m sure all of you can relate to it in one way or another i.e. how you improved upon certain aspects in life, formed new good habits over the years and they continue to pay off till this day. I’m sure other scriptures/religions also say something to this effect. I can share from my experience that the practice of meditation I started 15 years ago..earlier I couldn’t sit/concentrate for more than 5 mins but it certainly gets better with time and deliberate practice. So Compounding works whether in gaining material or spiritual riches. We can’t change the past but can definitely put in efforts for our future and guide the next generation; for that “Best time to act is Now!! This entry was posted in Become Successful, Get Rich on June 3, 2017 by admin.